Five remotes cluttering up your coffee table is not exactly the optimal situation. 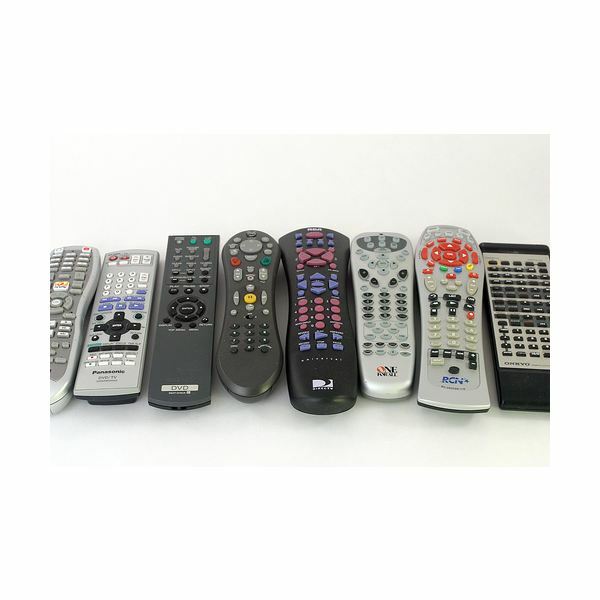 To fix the situation, you have purchased a universal remote (or have chosen to use the one Vizio supplied) to handle all of your peripherals as well as your television and cable box. If Vizio remote programming codes aren’t included in the packaging materials, how are you going to program your TV? Simple: try the codes below. Vizio remote programming with the included remote is a simple process of entering a code and testing it out. To do this, you must first turn on the television manually. On the remote, press and release the TV button. Now press and hold the Set button until the LED light blinks twice. Once the LED has blinked, press a Vizio code. If the code is accepted, the LED will flash twice. Check this by trying to turn off the television with the remote. If the TV will not turn off, you will need to start the process over begin with pressing and releasing the TV button. Depending on the model of your television, it could take a two-, three-, four- or even five-digit code. The only two-digit code is 19. Three-digit codes to try include 502, 627, 004, 113, 505, 011 and 695. Four digit codes for Vizio TVs are 0056, 0057, 1758, 0178, 1756, 0128, 0117, 1017, 1078, 0030, 0056, 0205, 1292 and 1004 (for U-verse). Five digit codes, which are most prominent in the new HD models, include 10178, 10117, 11756, 11758, 01377, 10885, 10864 and 10120. What happens if none of the Vizio remote programming codes you have tried up until now worked? Well, the last thing to try is the emergency set mode. This works for all of the components that you might want to control with your remote. First, manually turn on the device that you want to program. Press and release the component button you want to program (for the TV press TV, DVD for DVD, etc.). Hold the Set button until the LED blinks twice. Type in the code 991. The LED will blink twice again. Now point the remote at the device and alternate pressing the power button and the component button until the device turns off. This process can be tedious but might be the only option depending on the make of your peripheral components. After you have programmed your Vizio television and all of your peripherals, you might find yourself upgrading to newer units in the future. If you do, you can reset the remote component by entering code 982 after holding in the Component and Set Buttons. This is particularly helpful if you are changing from a DVD to Blu-ray player or changing your cable or satellite service provider. Image courtesy of rejar at FlickR. Who Makes Vizio LCD TV's?